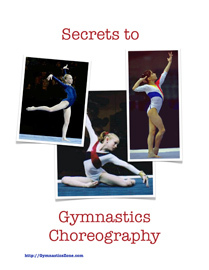 It is often difficult to now determine who was the first to do a particular gymnastics skill and certainly one that was done 80 or more years ago. O’Neill: An still rings skill named after U.S. gymnast Paul O-Neill. It consists of a stretched double feige backward to a hang. The skill has been rated by the FIG as a E level skill. Iron Cross: A strength move performed on the still rings, in a straight body or ” L” position, with the body perpendicular to the floor and the arms stretched straight out perpendicular to the body. Inverted Cross: A gymnastics skill performed on the still rings. It is an inverted handstand position, with the arms stretched straight out from the shoulders perpendicular to the body. Essentially it is an upside-down iron cross. Cross: A strength move performed on the still rings, in a straight body or “L” position, with the body perpendicular to the floor and the arms stretched straight out perpendicular to the body. Also called an Iron Cross.